More and more people are turning to cosmetic dentistry in an effort to improve their smile. Cosmetic dentistry is a proven option for those with stained, misaligned, chipped, misshapen or missing teeth. Hence, cosmetic dentistry works to improve the appearance of your mouth, teeth and ultimately your smile. Please note, that this procedure focuses on the improvement in appearance, rather than functionality. Regardless, some treatment procedures are beneficial. This is often a good option for those with chipped, discolored or decayed teeth. Composite bonding generally repairs and improves the appearance of discolored or damaged teeth. In this procedure, the dentist often extracts and removes the damaged or decayed part of the tooth. He/she will then have to apply a composite material on the tooth. This composite material is very similar to the enamel of a normal tooth in terms of appearance. By using high-intensity light, your dentist will harden or cure the composite material. Hence, the reason this procedure is termed as bonding, as stated in the Consumers Guide to Dentistry. Teeth are prone to get stained after an extended period of time. Bad habits such as smoking and neglecting of teeth can increase the discoloration of your teeth. Even certain habits that are part of your lifestyle, like consuming coffee, can do this to your teeth. 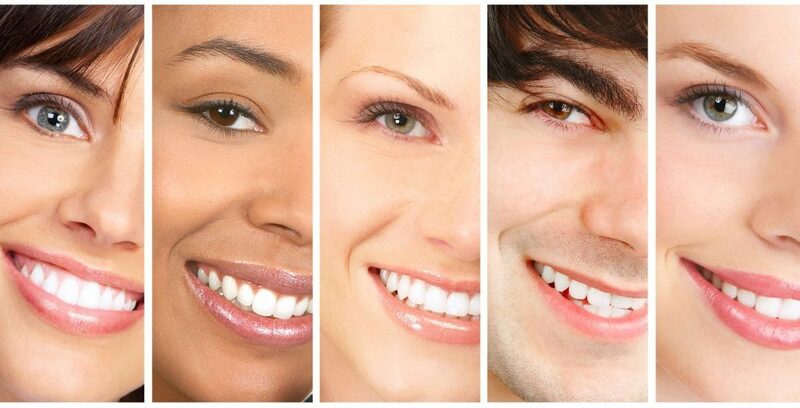 If you wish to restore your teeth to their original color, teeth whitening would be a great option. This procedure is basic and simple to carry out. Hence, you can either do it yourself or have your dentist do it for you. However, if you choose to do it yourself, ensure that you at least have your dentist removes plaque and tartar from the surface of your teeth. A dental implant procedure may not be as simple as teeth whitening, yet; it is necessary. This procedure helps replace lost teeth to not only help improve appearance, but bite. The dentist often uses a titanium screw to act as the root and support of the crown. The appearance of a dental implant is very similar to the appearance of a normal tooth. Hence, one would be hard-pressed to distinguish the crown from the rest of your teeth. Dental veneers are often custom made by using porcelain or resin. They are generally designed to cover the front part of a cracked, damaged or decayed tooth. They closely resemble the look of a natural tooth in terms of appearance. The dentist will first remove the enamel of your tooth before he can apply the veneer on the surface of your tooth. To aid in the application of the veneer, the dentist uses a dental adhesive before bonding the material to your damaged tooth. In conclusion, how you take care of your teeth can impact the health of your teeth, and ultimately your smile. Your lifestyle and personal habits can lead to tooth decay or the development of dental issues. If you wish to improve your smile, cosmetic dentistry is a great option. Chalet Dental Care,‘Care’ It’s In Our Name – It’s Who We Are’. Our skilled dentists provide comprehensive dental care and precision cosmetic dentistry; serving residents of Roseville, Como Park, Highland Park, Little Canada, and surrounding St. Paul communities. Call (651) 964-3519 today to set an appointment.